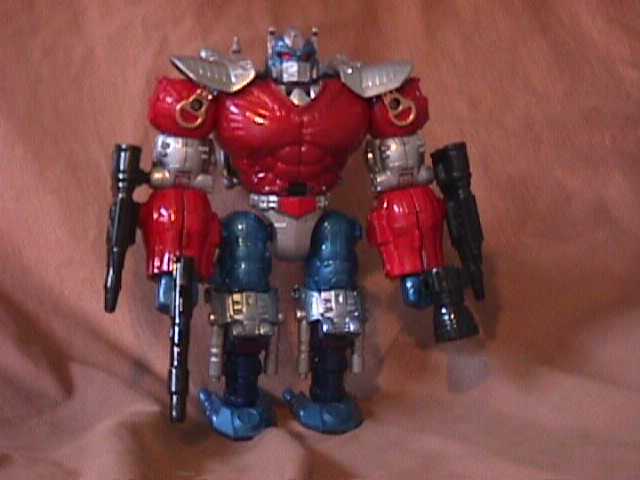 Note: This is how I thought the Optimus Primal from my Fanfic would look. Anyone who hasn't seen "The Agenda" should not read his tech specs. Function: Starship Axalon's Commanding officer. "Freedom is the only right still worth fighting for." 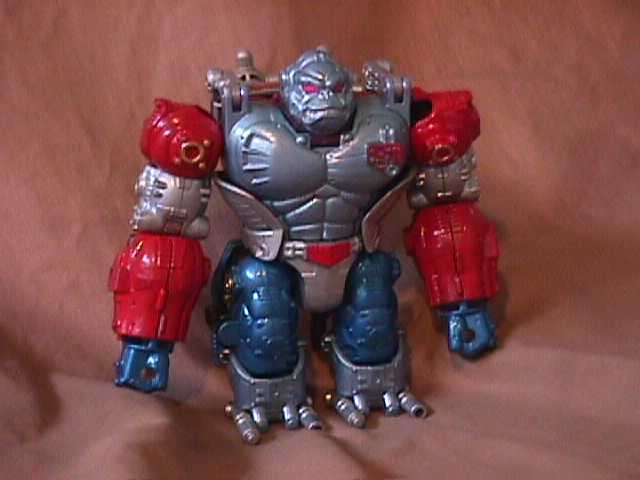 In a world where Optimus Prime no longer exists, Optimus Primal commands a radically different group of Maximals in a desperate fight to stop the Predacons from ruling the universe. Primal is a hardened veteran and an able commander. His first loyalty is to his crew, their safety means more to him than his own does. His leadership inspires his troops to new heights, but also acts as a mask to hide his doubts about himself, and their chances of winning the war. In robot mode his armor is all but impenetrable. He wields two tri-barreled plasma cannons on each arm, a laser rifle, and a sawed off missile launcher. His back-pack can be pulled over his shoulders to become a double barreled anti aircraft cannon. 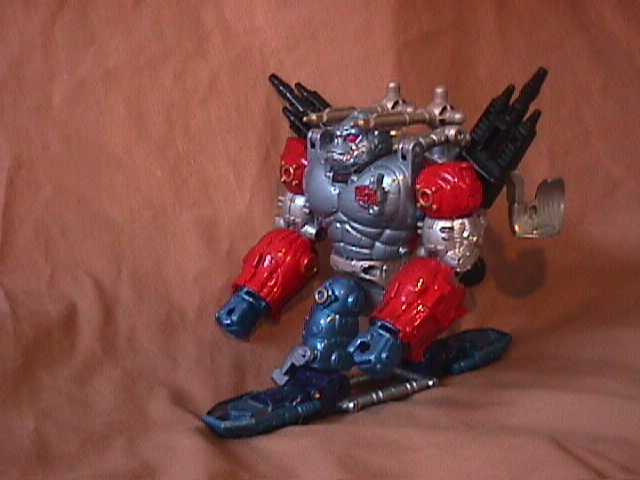 His ape mode is both strong and dexterous, it is in his hover board mode that he can be truly dangerous, as it combines the firepower of his robot mode with the strength of his beast mode, and adds flight to the mix.